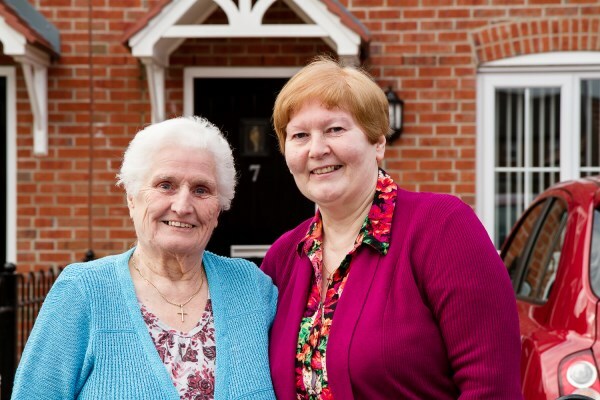 Linda Sweeney and her mum, Mary, knew exactly what they wanted from their new property when they decided to downsize - a place that was well-designed, compact and easy to maintain. And that's exactly what they got from Bovis Homes when they moved into a modern two-bed Conrad at The Avenues in Newtown Heath, Greater Manchester. 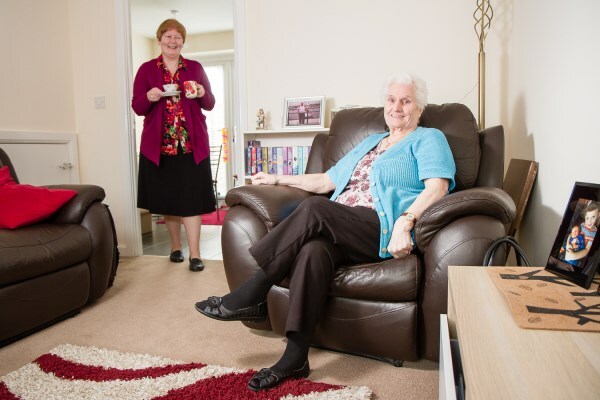 Linda, who has recently retired, used the house builder's part exchange scheme, Home Exchange, to buy her new property and is delighted with their new way of life. "There are a number of developments in the area so we had a good look around, but we really liked this development, and this house was ideal for us," said Linda. "I used to live in a bigger property, which was built in the 1930s," she explained. "But I really wanted to downsize and since my mum was going to live with me, it was better to move into a new-build home rather than convert my existing property, which would have cost a lot of money. Their new, all-inclusive property has a fitted kitchen, including split-level double oven with separate hob, and a dining area with French doors leading on to the rear garden. There is also a downstairs cloakroom as well as a separate sitting room and upstairs they have fitted wardrobes in both bedrooms and a stylish modern bathroom. "It's in a good location as it's only a quarter of a mile from my old house, which means we're still close to family and friends," said Linda. "It has off-road parking and a lovely low maintenance garden, which is particularly convenient as I'm definitely past the gardening stage of my life. "The buying experience was a very smooth process. In total it took around three months from seeing this house to actually moving in." For more information about Home Exchange and Bovis Homes, go to www.bovishomes.co.uk.